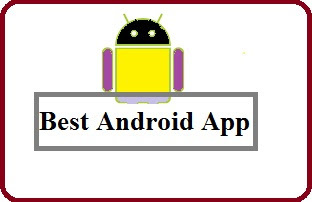 It is very important to choose the best android apps for use. So many apps are available on the Google Play Store. But every app is not very useful, the owner created these apps for entertainment only. It is upon you to identify the beneficial apps. Generally, people see the ratings and comment and decide for installation. But after that Apps does not fulfill the requirement. Here I have chosen the best Android Apps from Google Play store for you. If you are looking the good apps to scan and edit the video, these are the most useful for you. All the below-given Apps can be easily downloaded from the Google Play Store. 1) Authy 2 Factor Authentication - These apps have a good rating. This App generates 2 step verification token on your phone. Its additional security feature helps to protect the account from hackers. The other benefits serve - secure cloud backups, multi-device synchronization. 3) Cast Box - This is free apps to use for the podcast. This apps has one button subscription option and easy to navigate. You can download your favorite podcast at any time and anywhere. 1 million podcast channel has subscribed it. 4) Lite Tube (Float Tube) - This is very easy to use. You use these apps to turns anyone videoes into audio. That streamed on your device. The basic features are - search videos, watch the youtube video, download video etc. 5) fooView (Float Viewer) - fooView apps analyze your existence on phone. Count your touch, clicks on phone every day. Calculate the time, which you have spent on the phone. Aware of the useless operation done by you. 6) Buffer - This application saves your time and capacity to manage the social media in one place. This is very simple apps to track the performance of your blog content and schedule posts on social media effectively. 7) Find My Device - This application helps you to detect your lost Android and lock it until you do not get back. The features are available to see your device on the map. If they do not detect the current location, last know location will be reflected. This is a good tool. 8) Trusted Contacts - You can add your family as trusted contacts. These apps provide the features to connect your closest people, control the facility to see your location, easily find your family and location, can share the location as per your choice. You can assist or help your family in the emergency. These apps provide assistance to support the execution of work. The rating of apps is good and free for installation. Share your comment in below box.